J. Louis Technology is about two things – Technology and Customer Service. 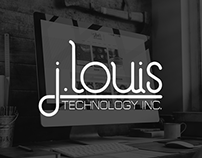 Keeping up with the latest and greatest technology can be a headache – this is why J. Louis Technology has assembled the right people and the right technology to deliver the solutions you need, without the headaches. Do you currently work at J. Louis?